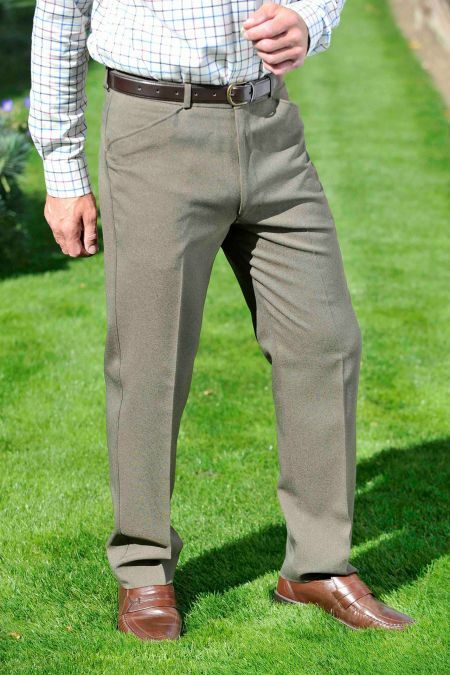 A fantastic everyday trousers with double pleats. 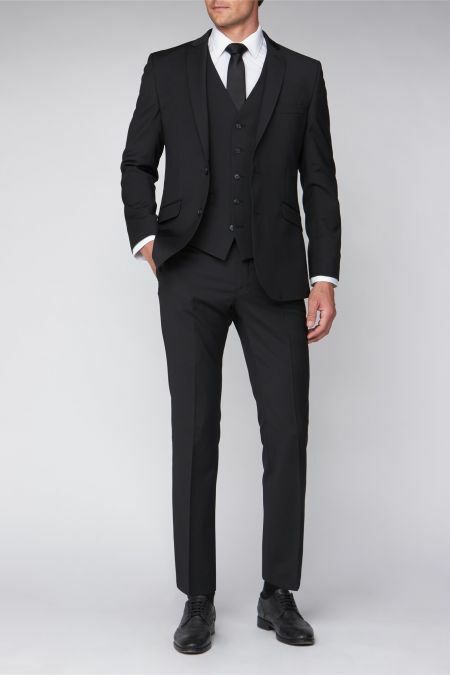 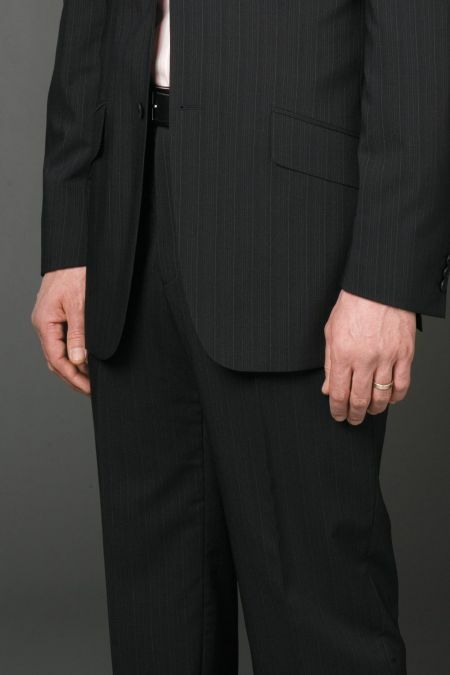 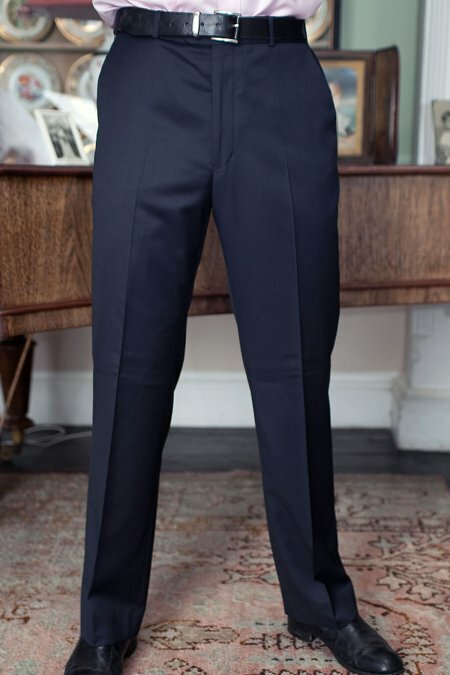 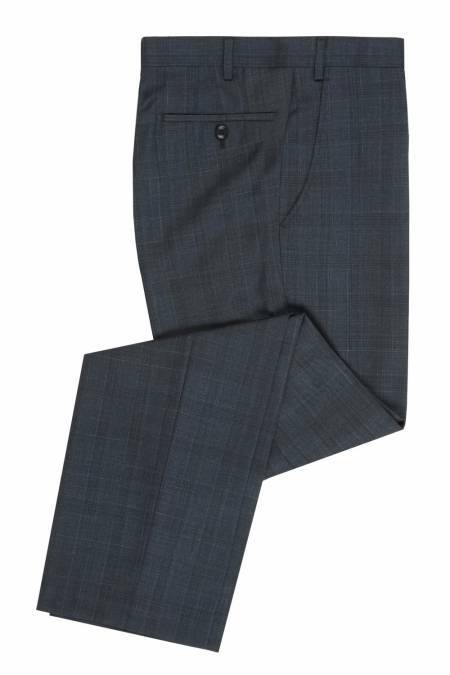 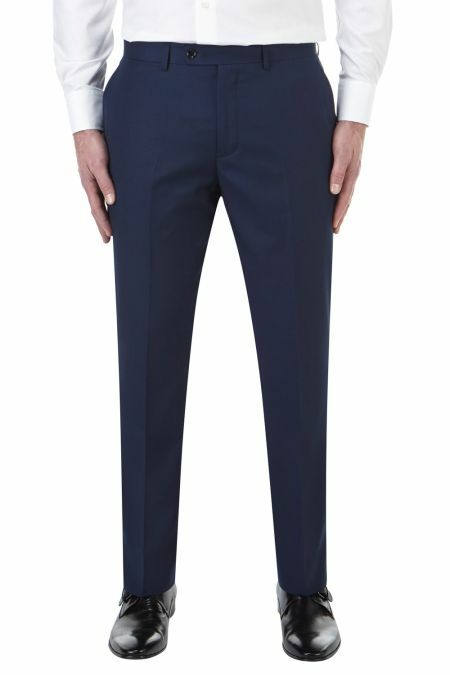 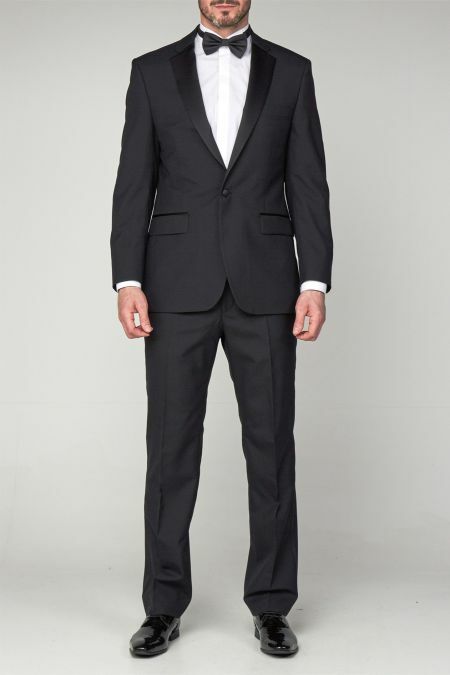 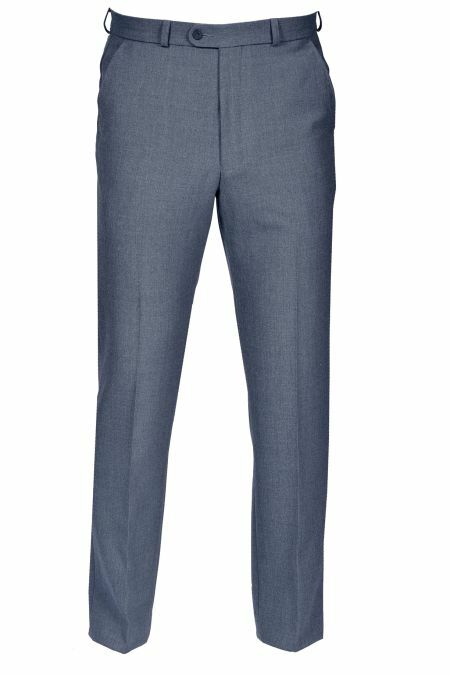 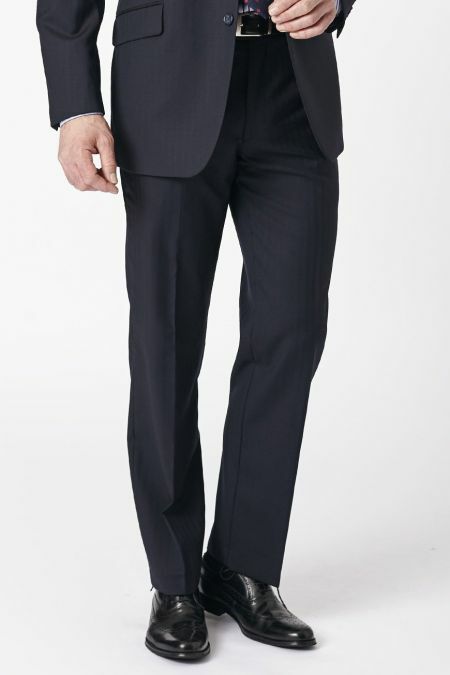 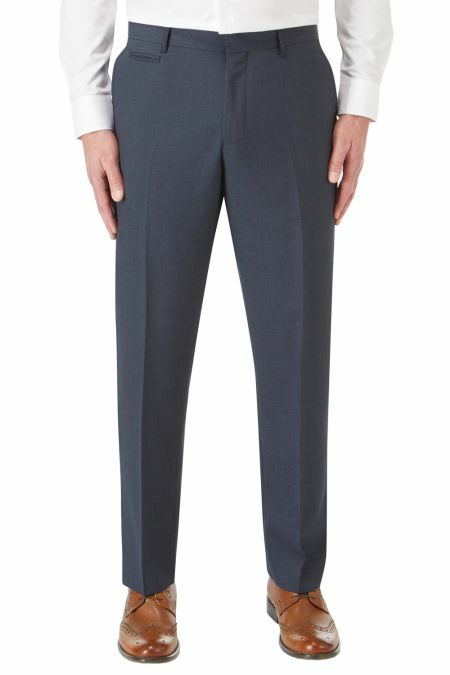 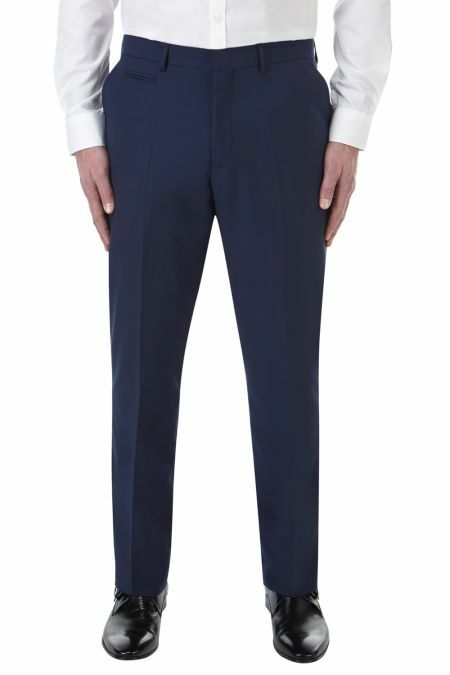 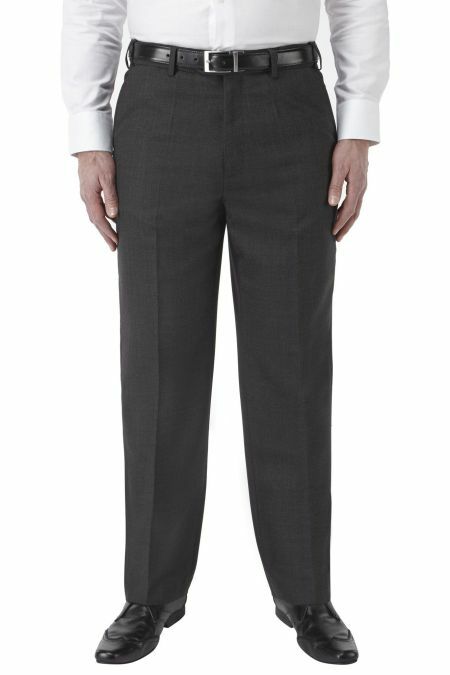 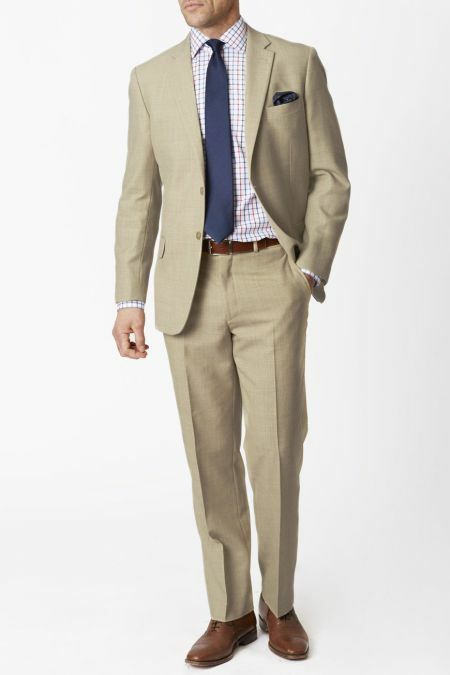 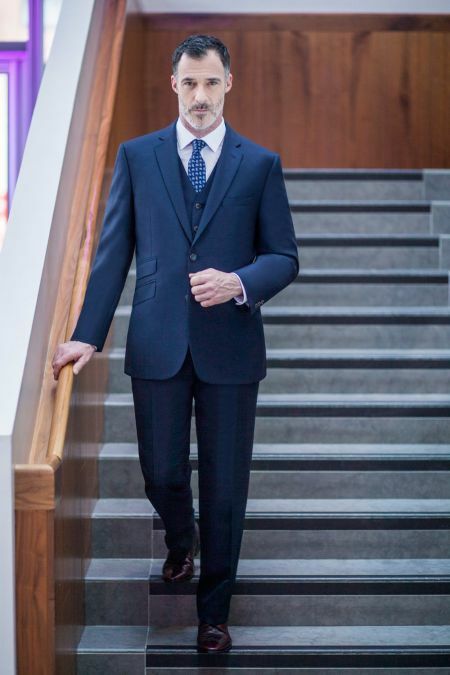 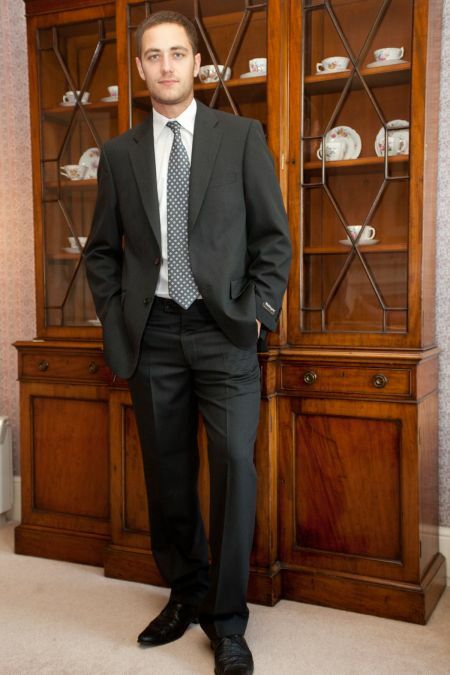 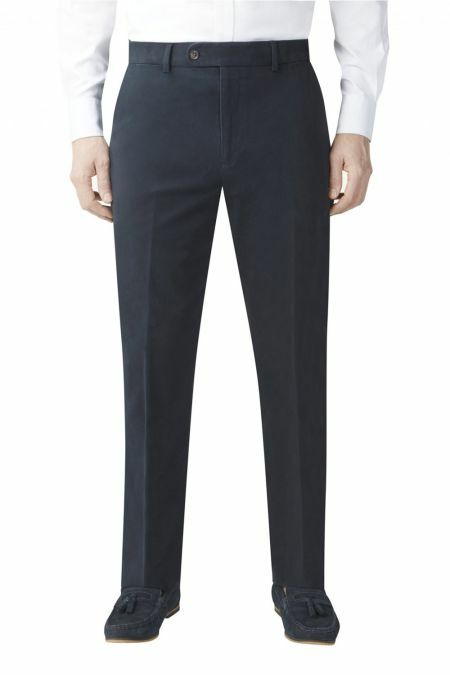 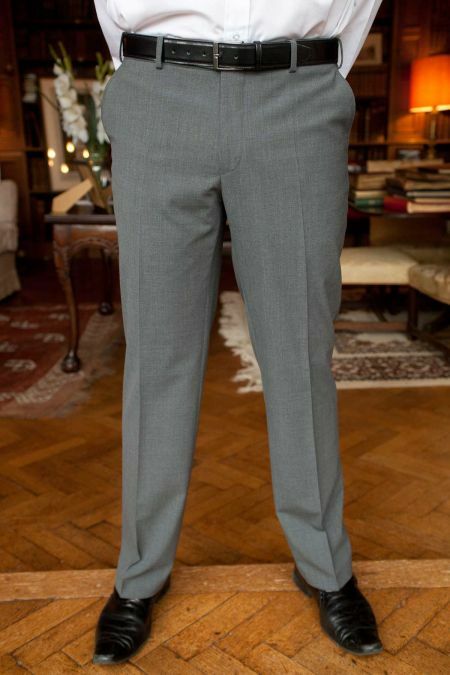 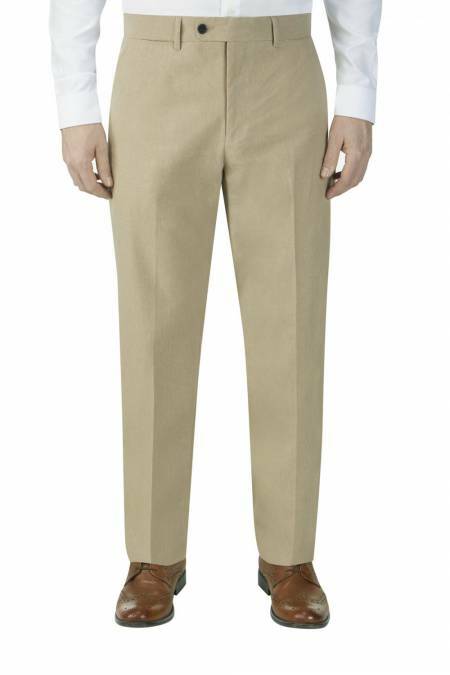 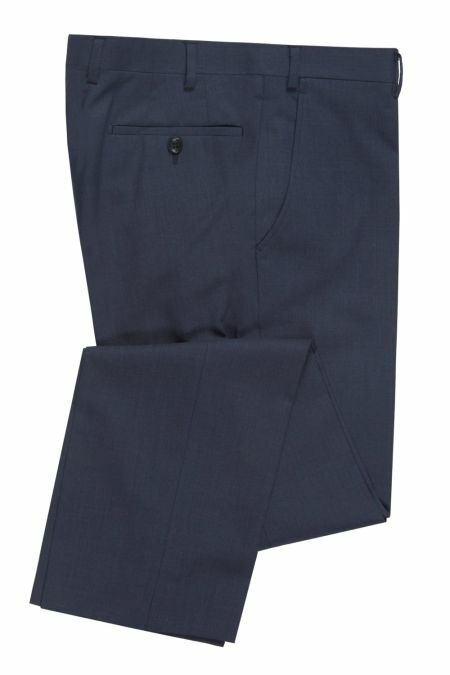 Skopes Latimer dinner suit classic fit trousers with side adjusters. 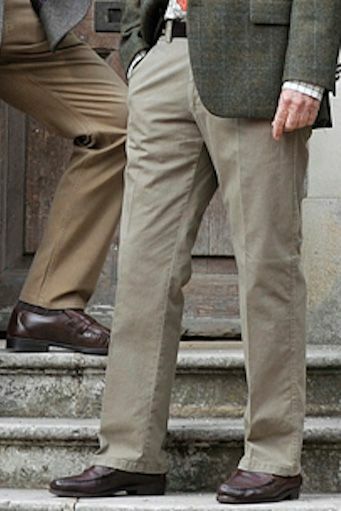 A timeless look. 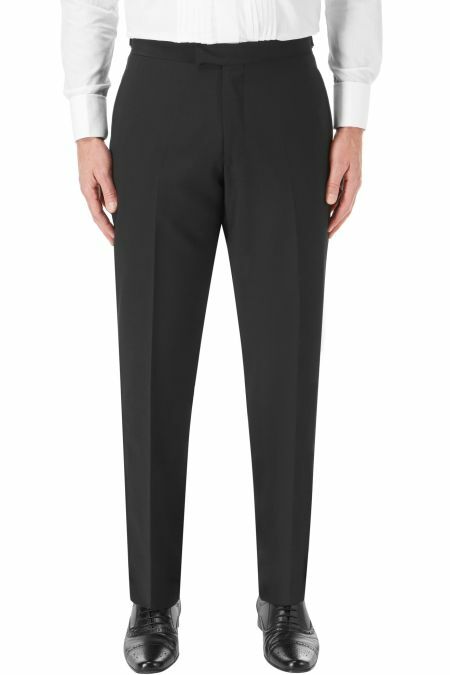 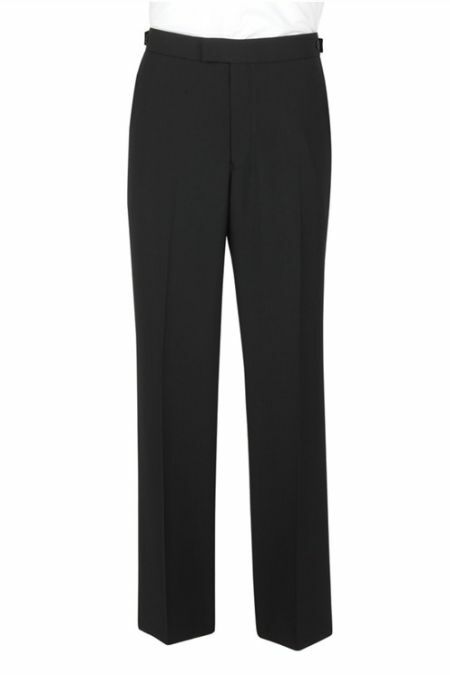 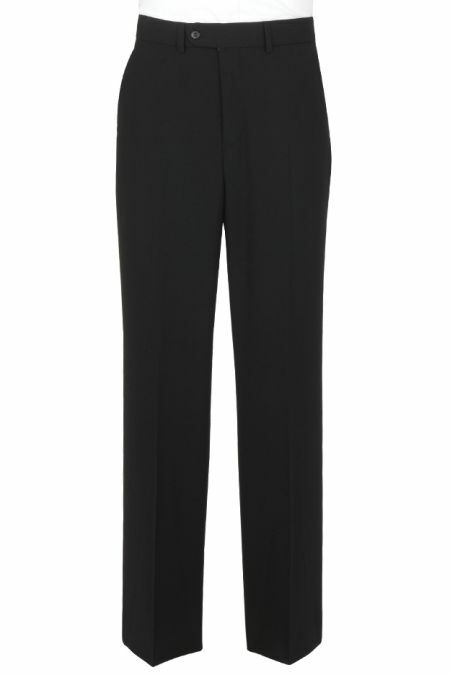 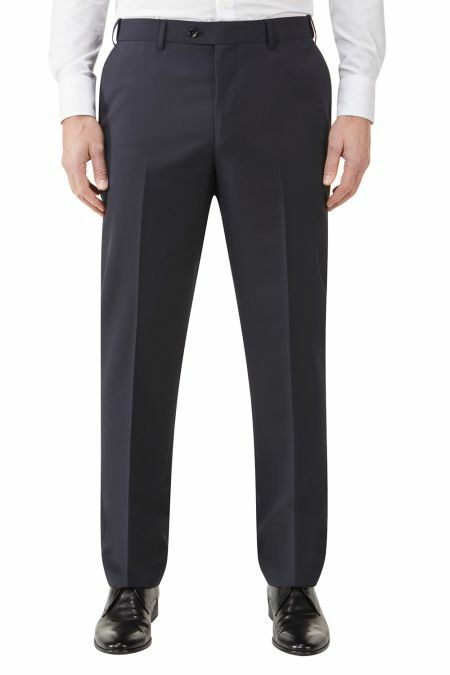 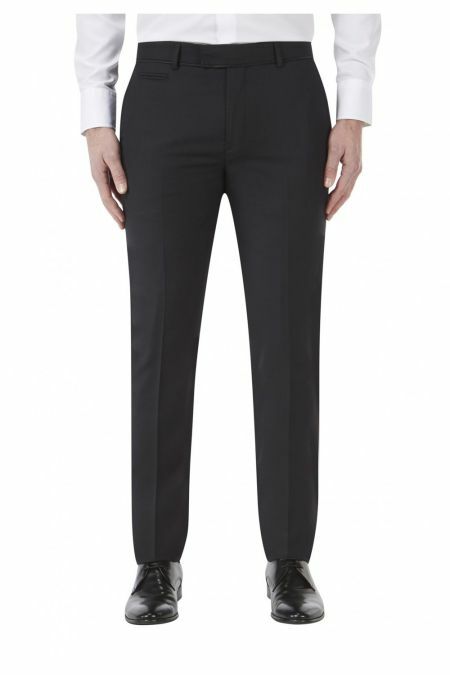 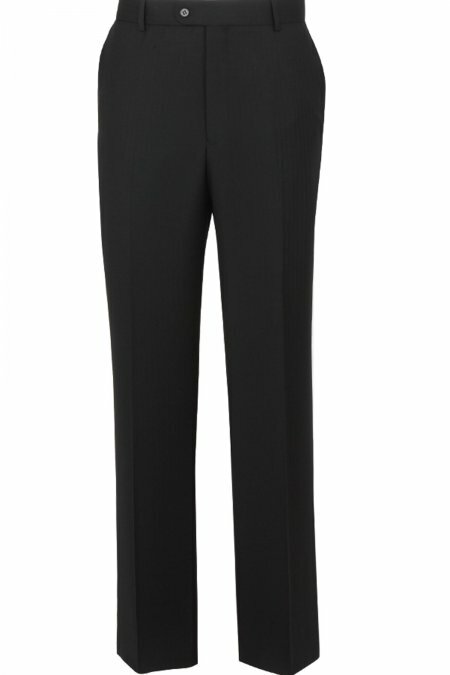 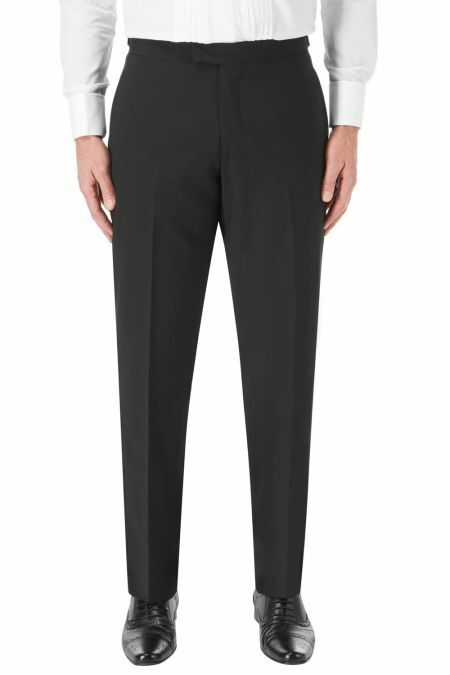 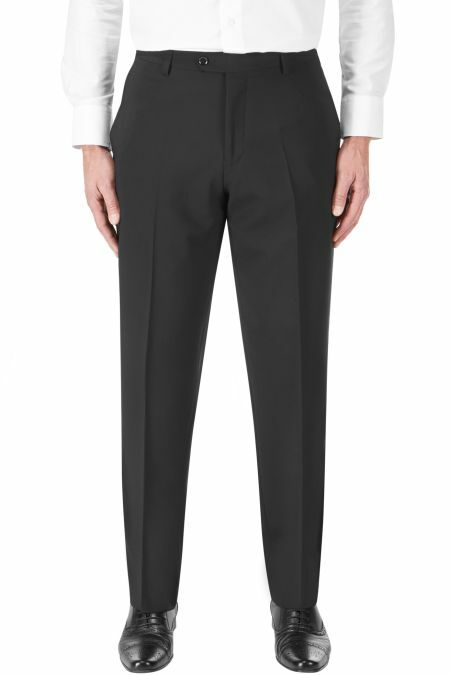 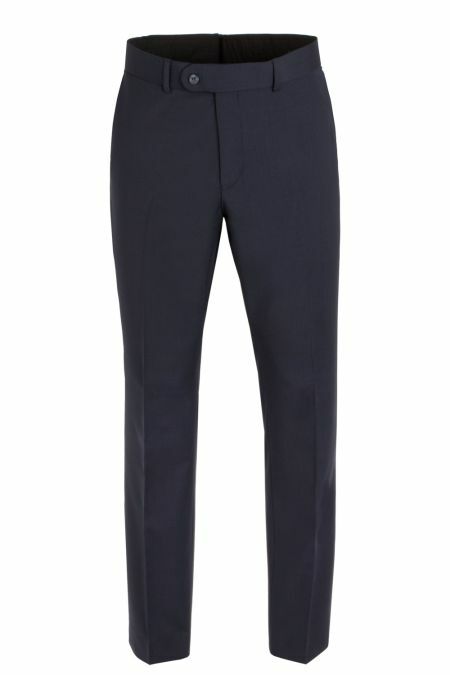 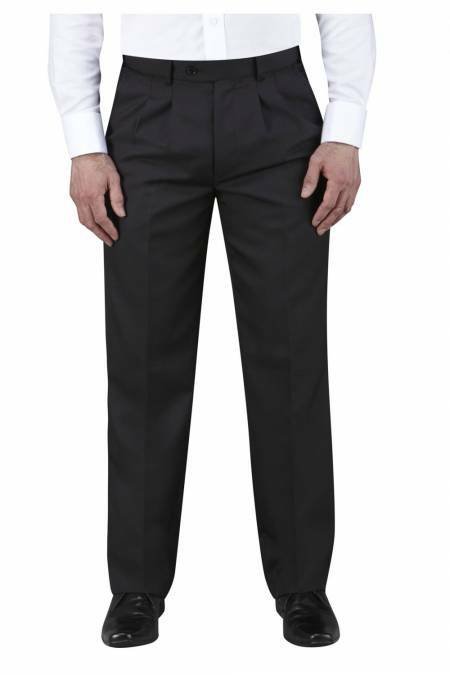 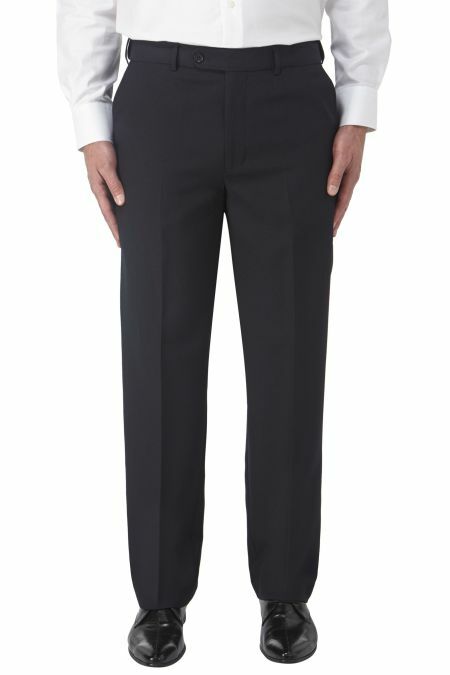 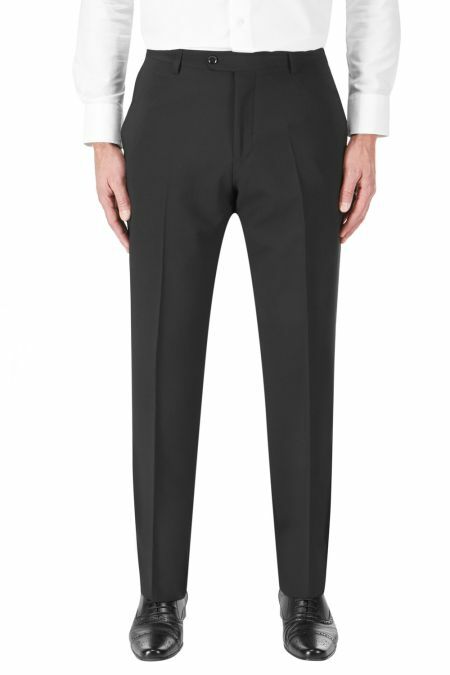 Pleated front black dinner trouser from Brook Taverner, to finish off you suit with style. 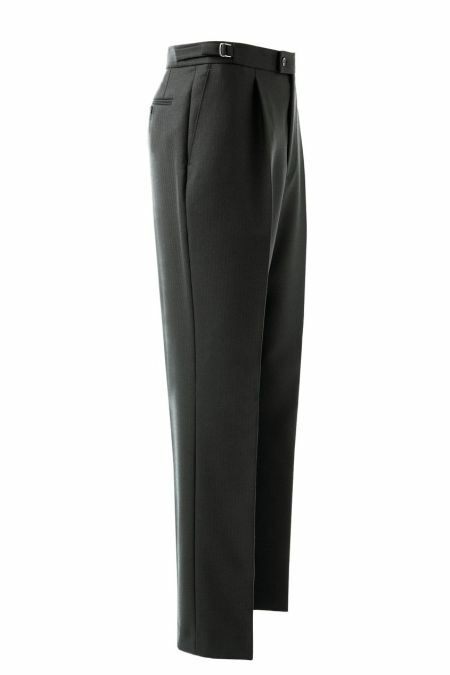 Half Lined, with a satin braid down the leg. 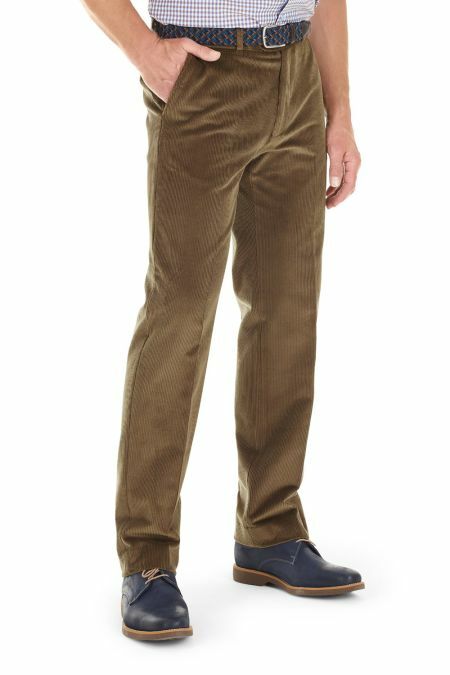 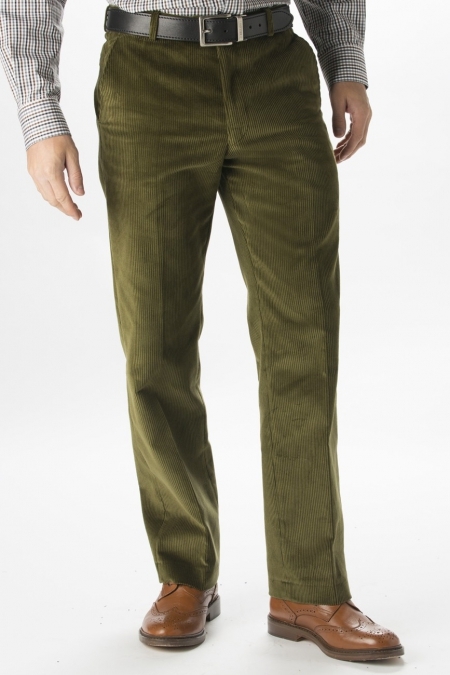 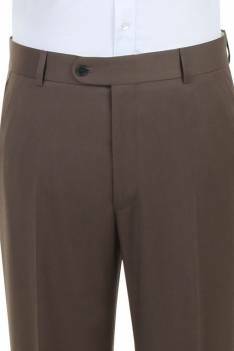 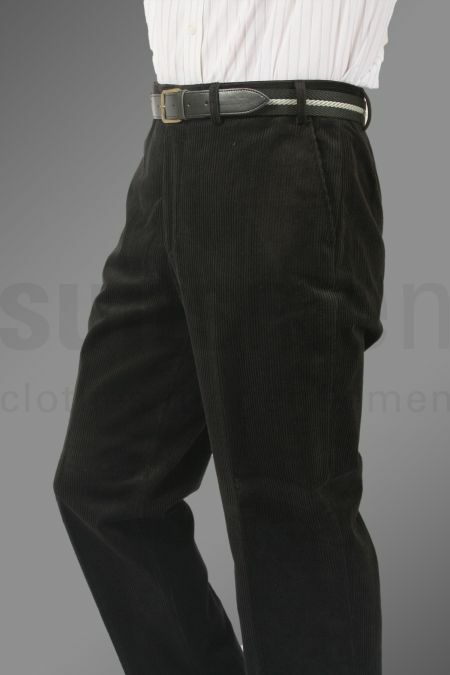 A fantastic pair of corduroy trousers, brilliant for everyday wear and smart for those special occasions. 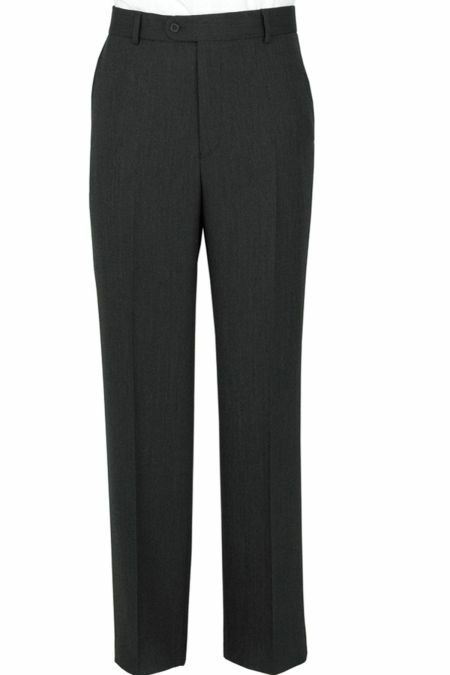 A fantastic pair of chinotrousers, brilliant for everyday wear! 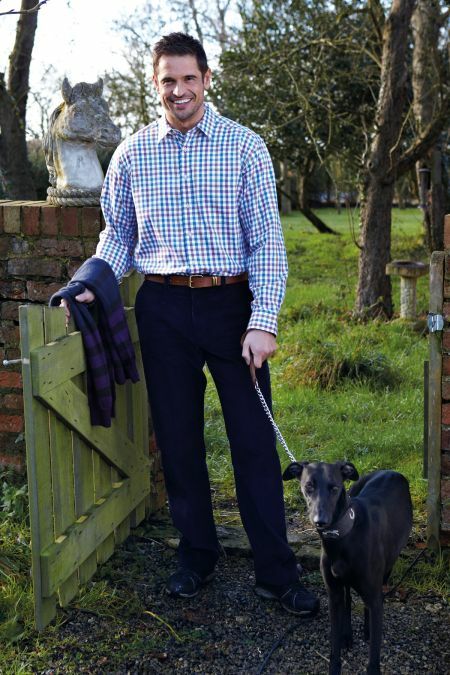 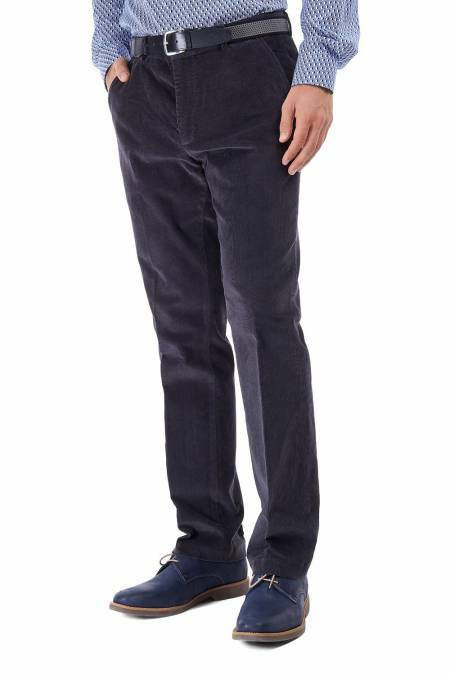 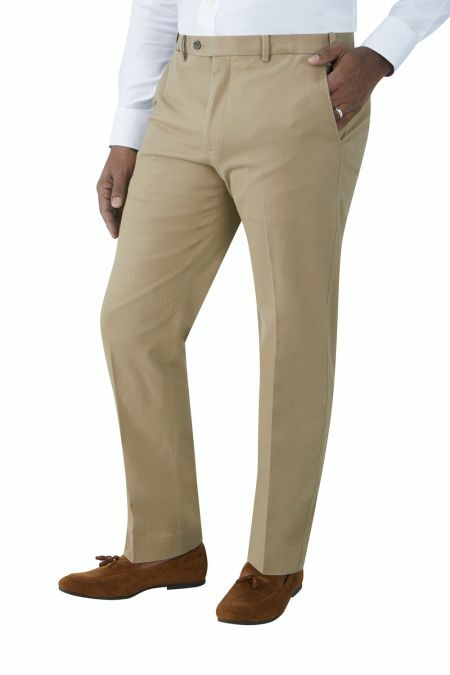 A smart look chino trouser from the Sovereign range of Gurteen. 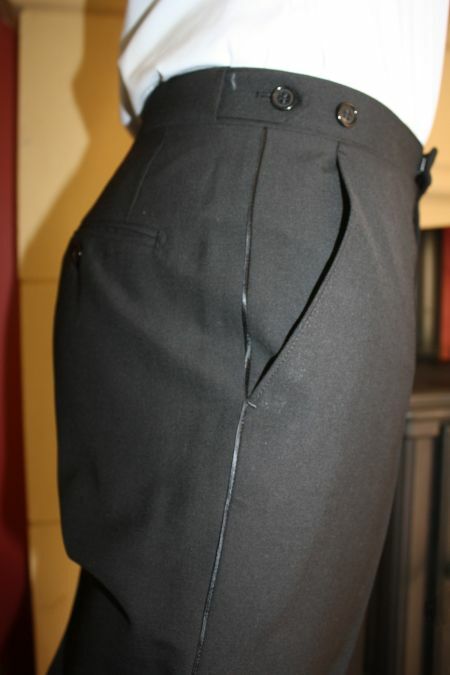 With a plain front and stretch waistband. 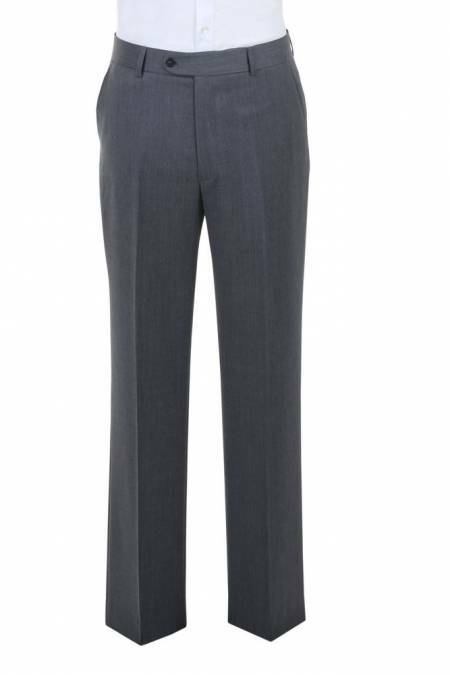 This sophisticated Torre men's Dinner Trousers, will have you looking your best at any occasion combining a classic and timeless feel. 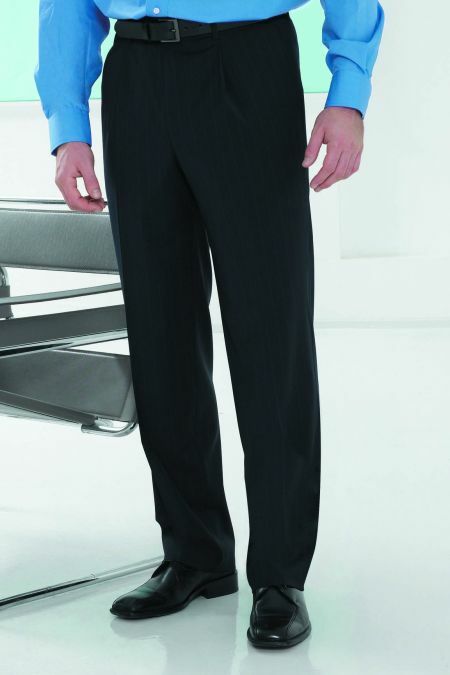 The suit is also coated with a Bionic Finish (water-repellent). 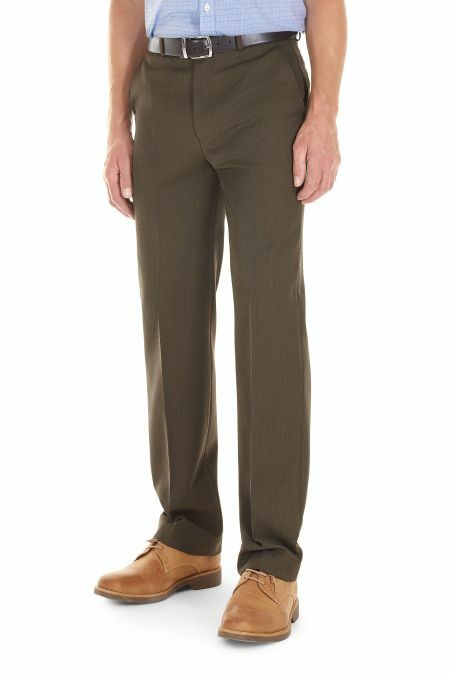 Fully washable, Moleskin trousers are all-purpose country classics in a luxurious brushed-cotton fabric. 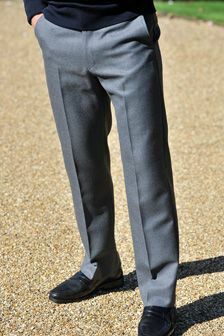 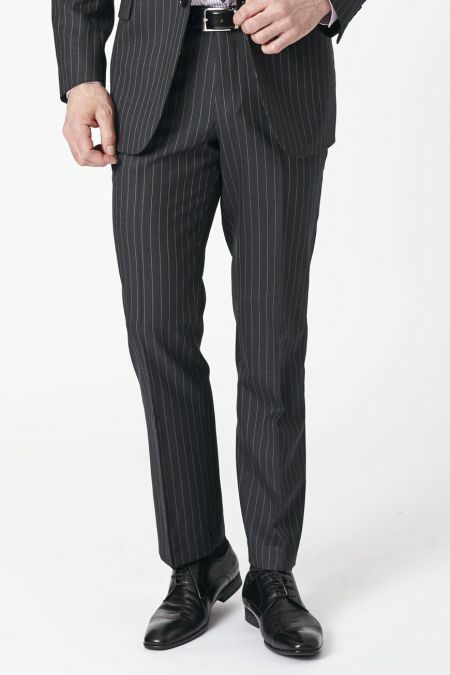 Striped formal trousers. 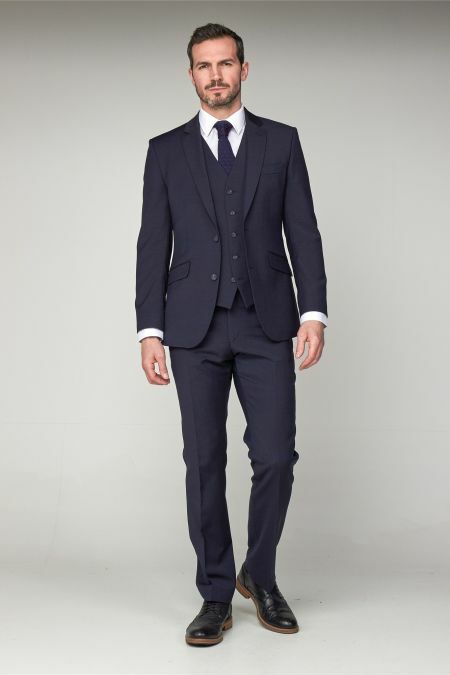 Perfect for Masonic occasions and weddings. 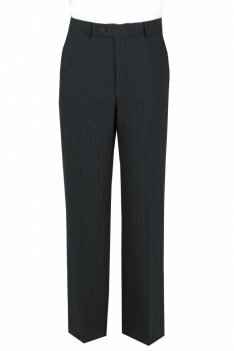 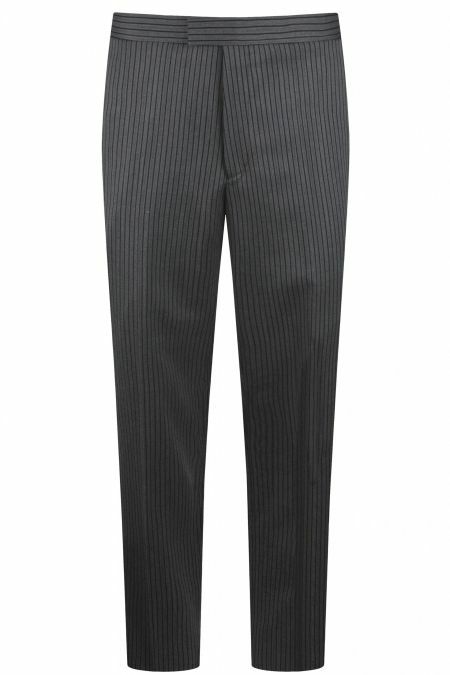 The Ideal Torre men's striped morning trousers. 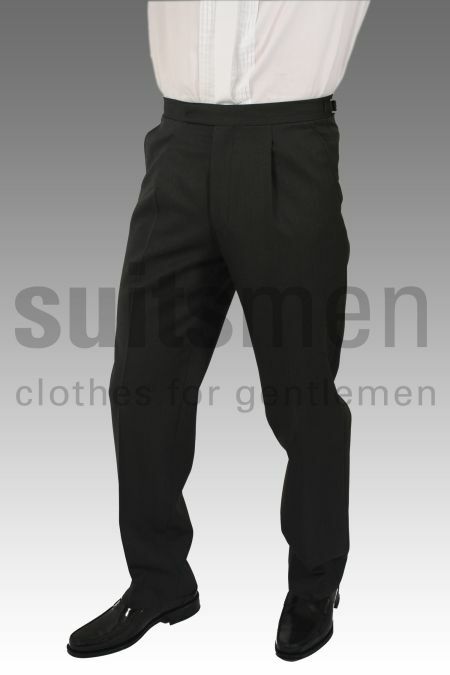 These trousers accompany all Jackets, tailcoats, lounge jackets and waistcoats. 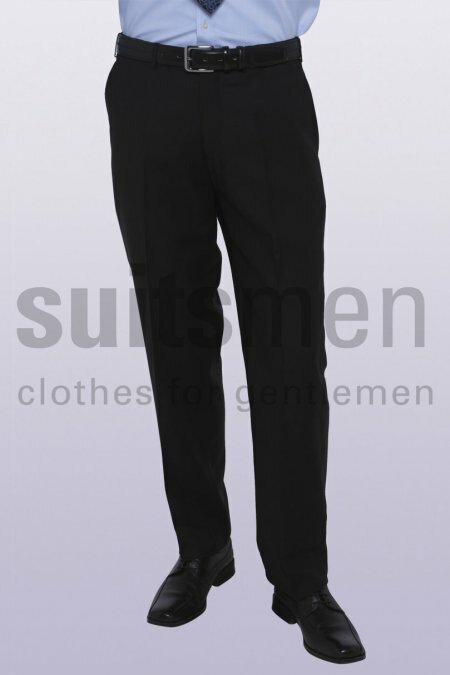 Available in all materials to complete your suit. 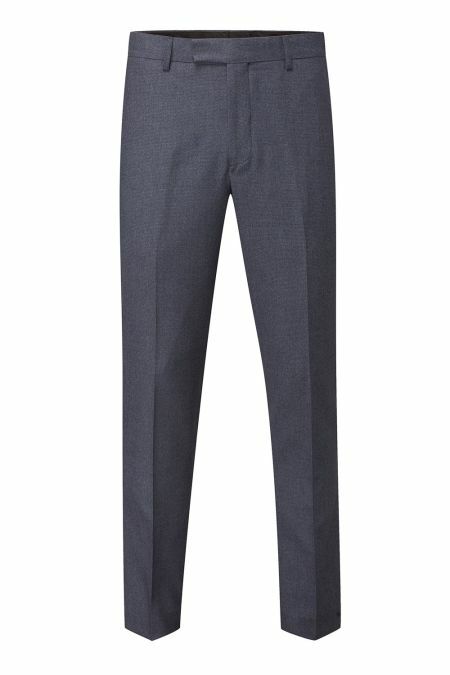 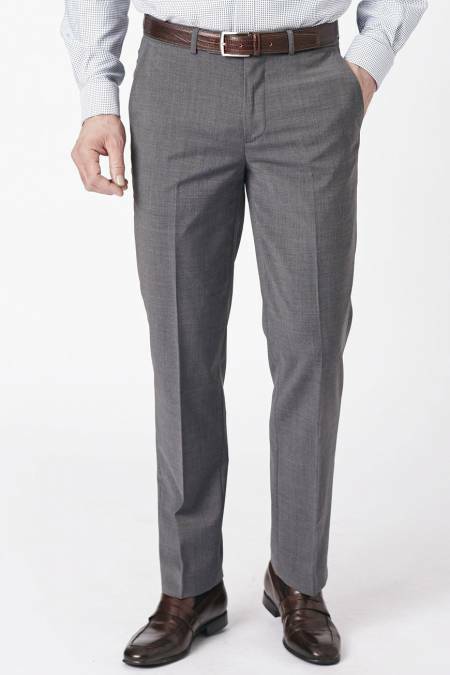 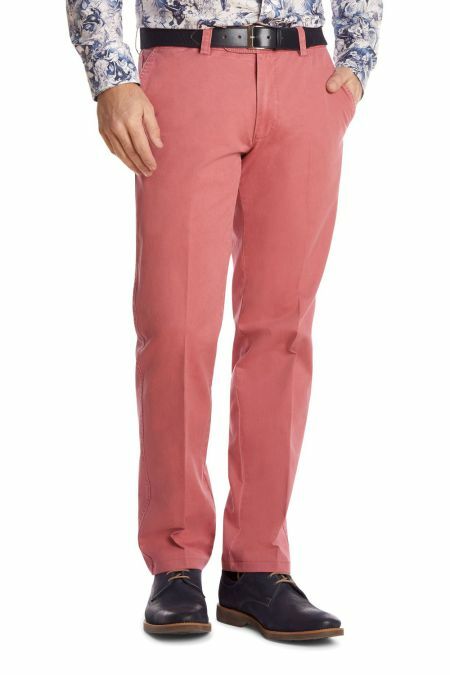 The Ideal Torre men's herringbone morning trousers. 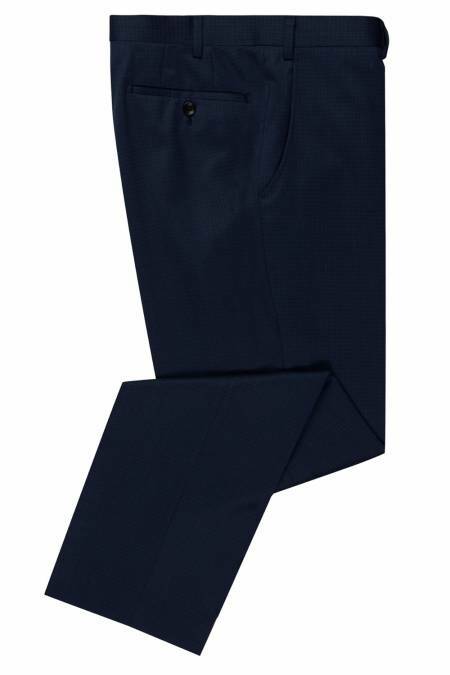 These trousers accompany all Jackets, tailcoats, lounge jackets and waistcoats. 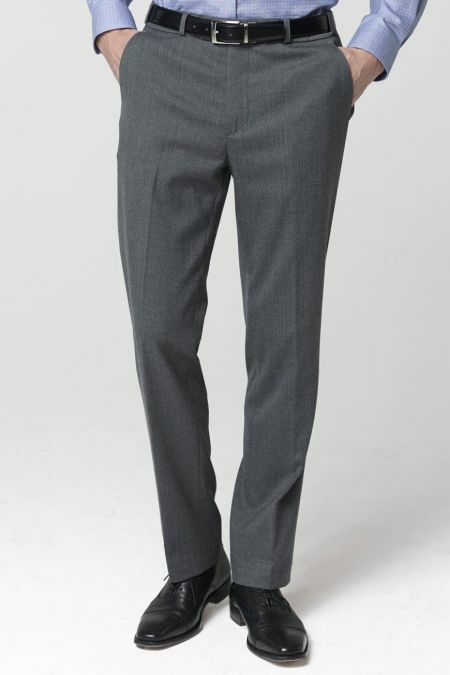 100% pure new wool Herringbone trouser.